Its really rolling over...trade of the week here i bet ya. Last 3 days VAL is right around the 376x level, so thats gonna be some strong support. Also we are above the pp 3791 so that slightly bullish. Bulls don't want to let this swing go for some reason....got a doji forming on the 15 min I'm still short targeting 3650. Also 3726 is going to be a little touchy to get through if were going down. 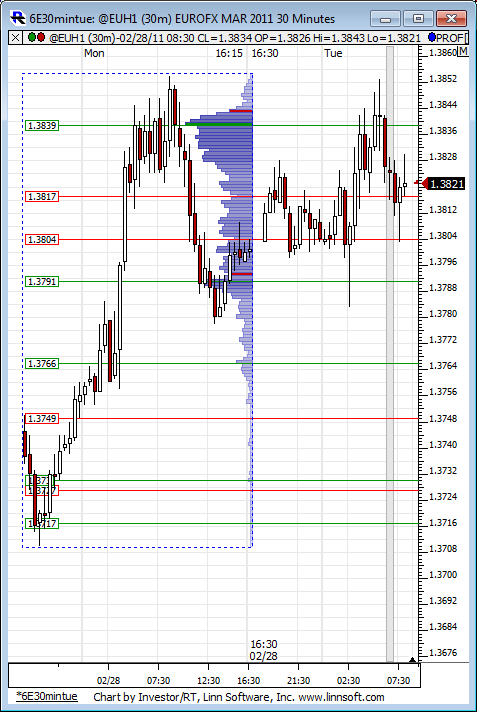 Here is yesterday's profile and you can see prices trading between those two HVN's of 1.3839 and 1.3791 so far today. Gonna need a close beyond one of those in order to see this range end imo. 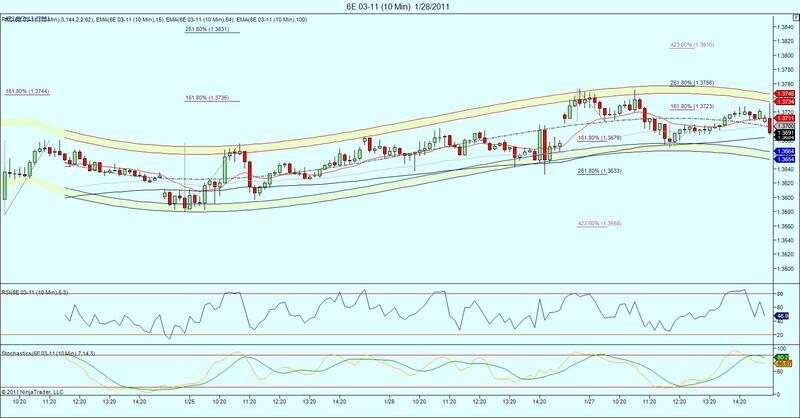 euro 3 hour found support twice on its 14sma, no the sma is advancing and the 3hr is declining. A break of that level should move rapidly to 3750ish area.